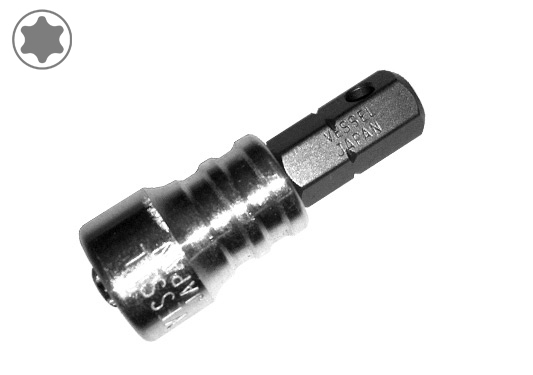 1/4" Hex Drive, Magnetic Viscatch Torx Insert Bit, #T15 x 1.30"
This rugged insert bit is equipped with a strong magnetic viscatch sleeve for holding screws in place during fastening. Other features include a precision machined tip for a sure fit, superior heat treating for durability, and it can be used with any standard bit holder. Replacement insert bits without the magnetic sleeve are available. TORX is a registered trademark of Acument TM Intellectual Properties, LLC (USA). VESSEL has a manufacturing license in Japan and selling same to the world.